Nestled between Nara to the west, Ise Bay to the east, and the Pacific ocean on the south, Mie is a uniquely shaped prefecture with plenty to cover. 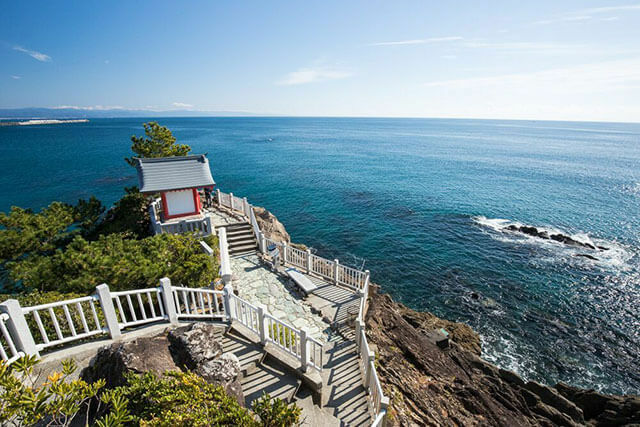 With historic ninja sites, coastal drives, and weaving mountainous roadways, you need to know just how to get around Mie to fully take advantage of your time in this fascinating pocket of Japan. But don’t stress, it’s not hard work, from ninja trains to sightseeing cruises and scenic bus journeys, getting to your Mie destination is half the fun. There isn’t much in the way of a central hub for trains in Mie, as there’s a fair mix between both the JR and Kintetsu lines, and they often cross over one another. A simple entry point is in Nabari, which is very easy access from Osaka and Kyoto by Kintetsu. 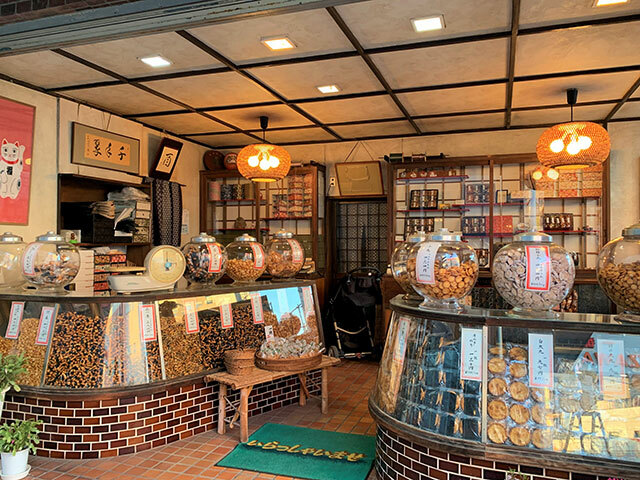 One For JR lines, one area you’ll want to visit when in Mie is Iga Ueno. The city is popular among both local and international tourists thanks to its stunning natural beauty, impressive ninja museum, towering Ueno castle and memorials dedicated to Matsuo Basho, one of the most famous and well-regarded poets in Japanese history. 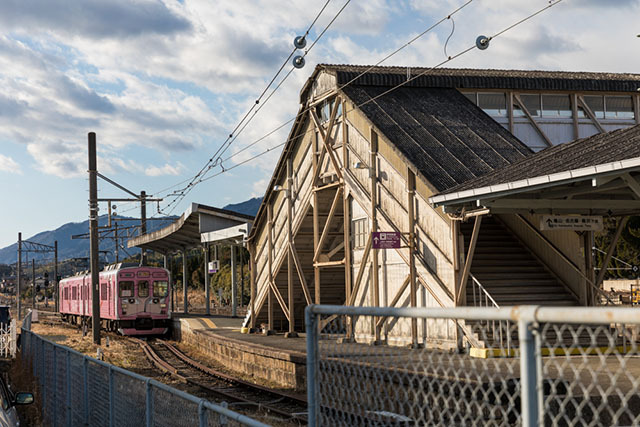 One of the more out there options for getting around Mie is aboard one of Iga’s eye-catching ‘ninja trains.’ Decorated by the manga artist Leiji Matsumoto, these trains run along the Iga Railway Line turning heads as they pass through neighboring areas. If you want to take a ride and check out the area from a ninja train, grab a daily pass from Ueno, Kayamachi, or Iga-Kambe Stations. There are three trains currently in action, a pink one a blue one and a green one. The latter is arguably the most popular as its interior was crafted from wood produced in Mie Prefecture. To avoid disappointment be sure to call Ueno Station a day prior to visiting to verify that the trains will be in action. Stretching from 16.5 kms from Mt. Asama to the front of the Ise Jingu, the Ise Shima Skyline is a road offering some pretty incredible sights of the nearby Pacific Ocean. You can get around the area by car of course, but it is a toll road so it can become a little expensive. If you’re on a budget or traveling via public transport, it could be worth hopping on an Ise Shima Skyline bus. Buses travel between Uratacho, Kongoshoji, Sanjo Koen and Isuzugawa Station every two hours, five times a day. Buses are also quite commonly used for getting around Ise itself to go between the two main shrines, and then heading down to Futami to see Meoto Iwa. It’s great to have a car, but in this case buses are definitely easier. To really explore the impressive scenery of Mie, it’s worth hopping on a bike. If you’re not too sure where to start, it may be worth considering signing up for the Ise-Shima Bicycle Journey tour. The company runs regular tours starting from Ise Shima and travelling around the wider neighboring area. There are a number of tours on offer, but be sure to put aside an entire day for maximum exploration. If you’re feeling ambitious you can always look into becoming part of Tour de Mie, an annual bike race that runs along Ise Shima Skyline in late July. For a more rural route, Cazacle is a bike tour service operating in the Nyu area of Taki-cho, bringing you to spots where tourists seldom go and well worth the time. Exploring Mie on street level is fascinating enough but hop on a Kashikojima Espana Cruise to get a whole new perspective on the place. One of the most popular tour companies is Shima Marine Leisure who offer rides between Toba Marine Termina, Dolphin Island and nearby Pearl Island, as well as around Ago Bay. For the best exploration, arguably the best way to get around Mie is by car. Covered in a network of local roads and expressways, it’s not even necessary to use the latter since the local roads are so scenic and beautiful. The Ise Shima Skyline is one scenic drive worth considering, but you can pretty much drive anywhere in the area and find something amazing. The Ise Expressway is one of the area’s most accessible roads as it runs from north to south, cutting through central Mie Prefecture, and is quite easygoing most of the time in terms of traffic.